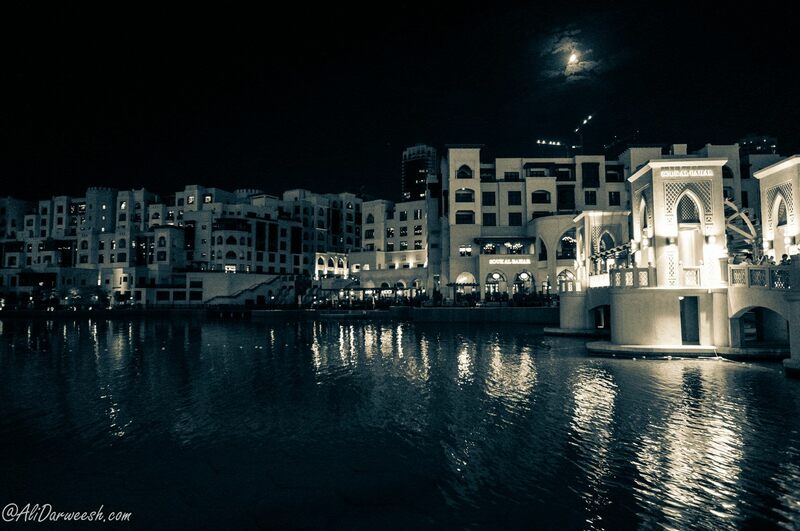 an Arabesque shopping, entertainment and dining destination located in the heart of Downtown Dubai. Easily accessible through a stunning walkway from modern Dubai Mall, Souk Al-Bahar transports the visitor into ancient Arabic heritage and community. Its over 100 shops include 22 restaurants, cafés and lounges, mostly located along the souk’s extensive waterfront promenade overlooking the majestic Dubai Fountain and the world’s tallest building –the Burj Khalifa. 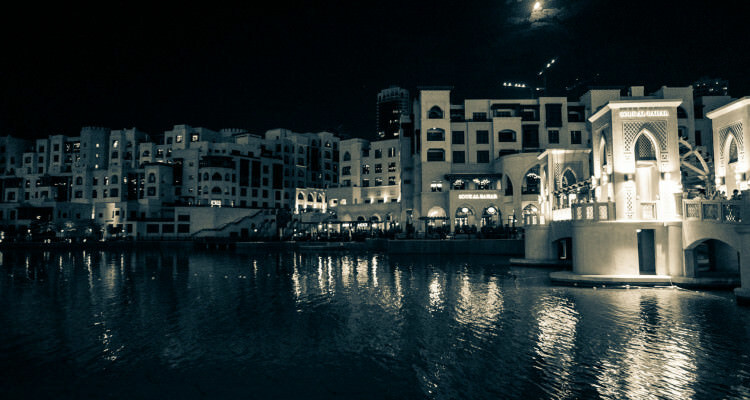 A visit inside Souk Al-Bahar is an experience in itself. Natural stone corridors, high archways, subdued lighting and arabesque decors of rhythmic linear patterns contribute to its charm. Its alleyways are lined with various shops – an eclectic mix of authentic handicrafts, jewelry, fashion wear, perfumes, carpets, furnishings, sports items, books; and the conveniences of modern times- from groceries to exchange houses. The smell of freshly baked bread from a nearby deli, the quiet cozy ambiance of a coffee shop, the delicate scent of spice and oils make the visit a feast for the senses. This combination of tradition and heritage, convenience, superb location, and exquisite dining experience makes Souk Al Bahar a vibrant waterside must-see destination. The full res photo can be access via this link.